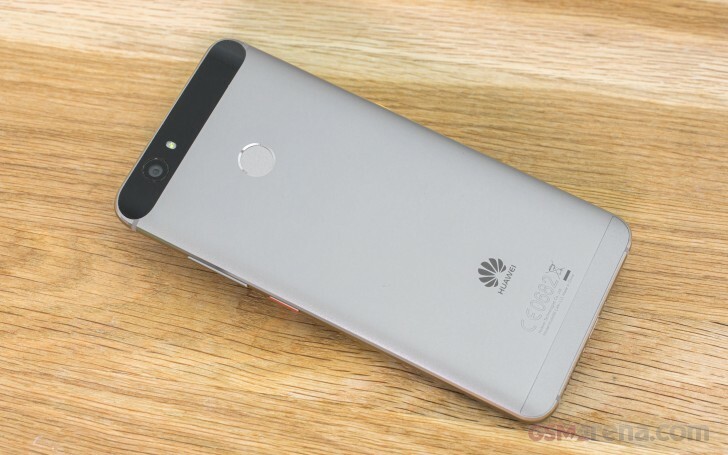 The Huawei nova is powered by the mid-range Snapdragon 625 chip, which is the sole reason not to put the nova among the top-end smartphones. The SoC offers a total of eight Cortex-A53 cores, running at 2.0 GHz, and a rather new Adreno 506 GPU. There are 3GB of RAM available on the Nova. The highlight of the chip is that it is manufactured using a 14nm process. It is the same fabrication process Qualcomm uses for its top-tier chips like the Snapdragon 820 and is still quite uncommon in mid-range chips. This should allow for less power consumption and lower running temperature than any other mid-range solution to date. As usual, we kick off our routine with some CPU torture. In the single core test, it is not hard to see how any Cortex-A72 or Kryo unit performs a lot better than an isolated Cortex-A53. But when you put enough of them together on a multi-threaded load, the higher clock rate starts to add up and lowers the gap between the latest Kirin (P9) and Snapdragon (OnePlus 3). Sure, the difference is still big, but we are talking mid-range here, so the score is perfectly fine. Looking at the all-round benchmarks, we clearly see the Huawei nova holds its ground among mid-rangers such as Galaxy C7 and Xperia X, both similarly priced and positioned. Of course, it is not exactly a fair performance fight when we pit it against flagships like the OnePlus 3, the Honor 8, or the Galaxy S6. However, the nova costs the same as those, so they need to be here. Moving on to graphics, the Adreno 506 bundled with the Snapdragon 625 provides an adequate match to CPU performance. That said, we can't expect it to stand up to something like the Adreno 530 in the Snapdragon 820, but it is still more than adequate for almost every current Android game title in the Play Store. Basemark X provides an even better overview of where the Huawei nova fits graphics-wise among its competitors. The Huawei nova may not have the top-tier specs to impress, but it won't let down even power users. The eight 2.0 GHz cores are snappy, and the 3GB of RAM are still perfectly adequate for as much multitasking as you desire. Modern games run smooth, there is no lag in Android OS, and the phone stays cool even when its hardware is 100% busy for a long time. And that's more than enough for a great mid-ranger by our books.